Tsar Ivan The Terrible© is a super premium vodka from Russia, crafted in the unique OSOBAYA style. It’s distinctive elegant character and exceptionally smooth finish come from a carefully balanced formula of the finest grain spirit, natural spring water, delicate infusions of Siberian cedar nuts and wild buckwheat honey. A traditional style luxury vodka, Ivan is designed to be enjoyed neat, just like a fine cognac, at room temperature, either on its own or accompanied by caviar in the authentic Russian manner, so that it’s delicate flavors can be fully appreciated. Unlike other vodkas, Ivan the Terrible does not produce a strong burn on the palate or an unpleasant aftertaste and should not, therefore, be frozen before drinking. A perfect sipping vodka, Ivan also makes exquisite martinis and enhances the quality of premium cocktails. The brand of Tsar Ivan The Terrible© is established by appointment to royal family Romanoff foundation. Coat of arms, on wooden bottle cap, resembles a seal of approval for best possible quality vodka can have. Made by a XVI century recipe, using modern technology of continous distillation, Ivan vodka combines perfectly with any food, especially with tartar beef, smoked salmon or caviar, see food, vegetables and fruit, but also creates pleasant match with simple bites like sour pickles, etc. Please, always enjoy drinking responsibly, but don’t forget to do it with style! 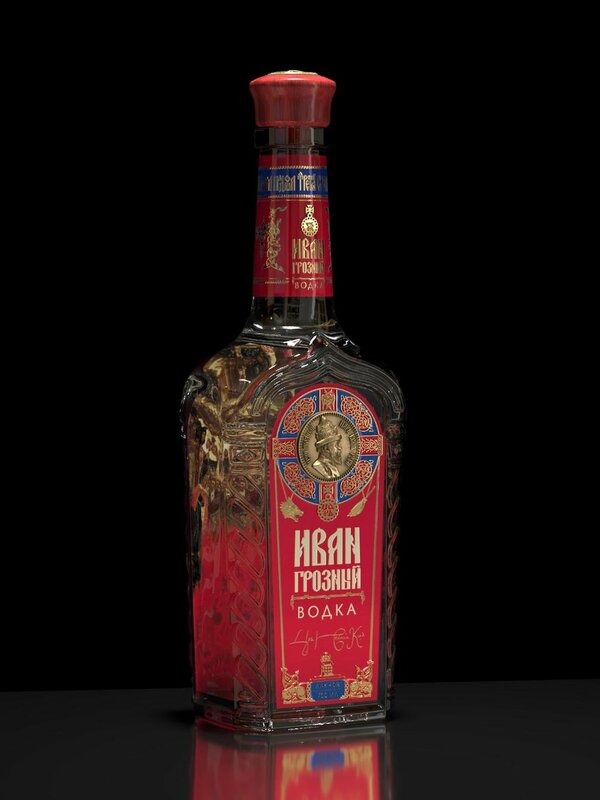 At Modern Connoisseur we are happy to be the first to preview this fresh, redesigned bottle - the new suit of Tsar Ivan The Terrible© vodka, as it is just about to be launched to worldwide market.